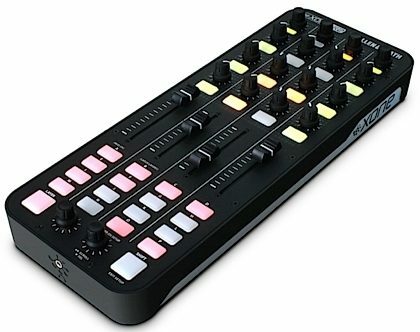 The Allen Heath Xone:K2 is a compact, slim line universal MIDI controller -- incorporating a 4 channel soundcard, for use with any DJ software. With no fewer than 52 hardware controls providing up to 171 MIDI commands across 3 layers -- plus the ability to link multiple units using X:LINK, saving USB ports on your computer -- Xone:K2 has the power and flexibility to put you in touch with the functions and features of your chosen software. Quick and simple mapping lets you create a unique layout that mirrors your style and puts the functions that matter at your fingertips, whilst 3 color illuminating switches give at-a-glance feedback - allowing you to work however you decide. The high quality internal soundcard provides flexible user setup options using the Xone:K2 with headphones, headphones and a mix system or with an external mixer. Xone:K2 comes packed in a black padded case as standard. The case doubles as a stand, bringing the K2 up to the same height as most pro DJ mixers. Xone:K2 is a compact designed MIDI Controller for use with any DJ software such as Ableton, Virtual DJ, MixVibes, Mixx and Traktor Pro. Xone:K2 can even be used to control lights or VJ software -- if it can receive MIDI data it can take commands from K2. What each control does is entirely up to you - you can create a completely customized layout that perfectly fits the way you want to work. Xone:K2 has 52 physical controls -- including 12 analogue and 6 endless rotary encoders with push switch, 4 linear faders, and 30 backlit performance switches - providing up to 171 MIDI control commands across 3 layers. A Latching Layers system lets you assign controls to multiple layers, so a single physical control can be given up to 3 functions. You can configure all, some or none of K2's controls to be linked to the Latching Layers system. As a quick visual reminder, when toggling through layers all switches assigned to a particular layer will illuminate in the appropriate color. Xone:K2 has a high quality internal, four channel (2 stereo) 48kHz soundcard. 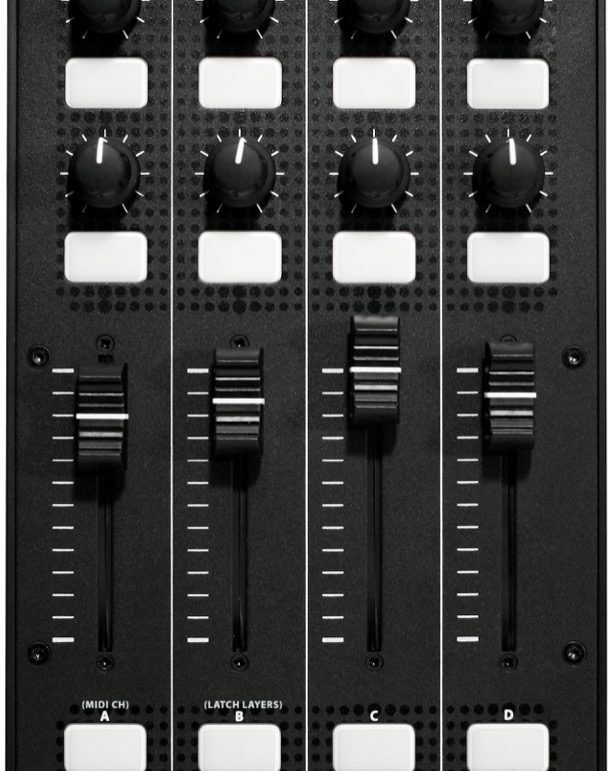 Setup options include using the K2 with a pair of headphones, feeding a pair of headphones and a PA system, or connecting to an external DJ mixer. Its slim line chassis, soft touch controls and minimal looks set K2 apart from the pack. There's plenty of substance too -- Xone:K2 is built to Allen & Heath's renowned touring grade audio and build quality standards, including the use of steel nuts on all rotary controls to protect the circuitry from impact damage. Xone:K2 comes packed in a black padded case as standard. As well as keeping it safe on the road, the case doubles as a stand, elevating the K2 up to the same height as most pro DJ mixers. Two or more K2s can be linked via the X:LINK protocol, expanding the control capability. X:LINK uses a standard RJ45 connector and distributes power and data, allowing connection to X:LINK compatible devices, including Xone:DB4 and DB2, to expand MIDI data without using additional USB ports. zZounds is an authorized dealer of Allen and Heath products. AllenHeath Warranty ﻿Allen & Heath has a one-year non-transferable limited warranty.